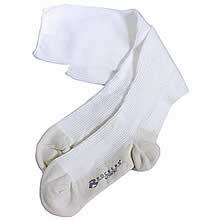 Long lasting performance sock specifically designed for working professionals to help reduce foot and leg fatigue. 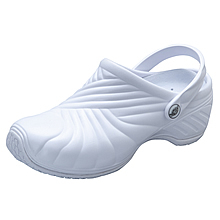 Flat seamed reinforced toe, shaped heel, and comfortable non-binding top band. Rockers logo is imprinted on the bottom sole of one sock. Italian made with 140 denier of support including ankle compression at 18-22mm of Hg What does this mean? Comfort from swollen feet, leg fatigue and prevention of varicose veins. Their real energizing effect comes from pushing the blood circulation from the feet upwards to prevent swelling and encourage circulation.